The historian A. T. Q. Stewart once remarked that in Ireland all history is applied history—that is, the study of the past prosecutes political conflict by other means. Indeed, nearly twenty years after the 1998 Belfast Agreement, “dealing with the past” remains near the top of the political agenda in Northern Ireland. 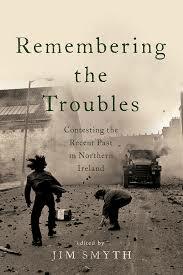 The essays in this volume, by leading experts in the fields of Irish and British history, politics, and international studies, explore the ways in which competing “social” or “collective memories” of the Northern Ireland “Troubles” continue to shape the post-conflict political landscape. The contributors to this volume embrace a diversity of perspectives: the Provisional Republican version of events, as well as that of its Official Republican rival; Loyalist understandings of the recent past as well as the British Army’s authorized for-the-record account; the importance of commemoration and memorialization to Irish Republican culture; and the individual memory of one of the noncombatants swept up in the conflict. Tightly specific, sharply focused, and rich in local detail, these essays make a significant contribution to the burgeoning literature of history and memory. The book will interest students and scholars of Irish studies, contemporary British history, memory studies, conflict resolution, and political science. Contributors: Jim Smyth, Ian McBride, Ruan O’Donnell, Aaron Edwards, James W. McAuley, Margaret O’Callaghan, John Mulqueen, and Cathal Goan.